Whether you’ve been involved in a major accident, or need a dent or scrape repaired, the Mercedes-Benz of Bloomfield Hills Collision Center will provide you everything you need to get your vehicle looking good as new. We only employ skilled technicians who’ve been certified to operate on Mercedes-Benz vehicles, and when you service or repair your vehicle at our shop, you can be sure that we’ll carry out the job using dependable Mercedes-Benz OEM parts. You can reach our roadside assistance team at 1-800-367-6372. It can be extremely stressful, but unfortunately, accidents do happen. It is very important that you remain calm and, if possible, check to see if any other involved party is injured and in need of medical attention. Call the police in order to file an accident report: This is especially important if the accident was not your fault. Filing a police report doesn’t require you to also file an insurance claim, but in the event that you need to do so, can be very helpful. 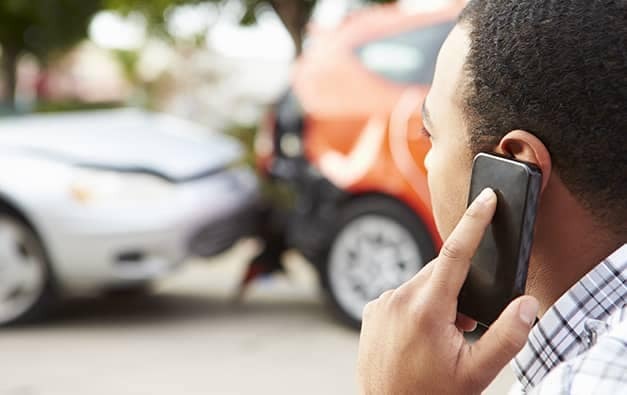 Call the Mercedes-Benz of Bloomfield Hills Collision Center: We will guide you in making the proper decision, like whether to file a claim or not, if you should go through your insurance provider, or file with the other party’s insurance company. At Mercedes-Benz of Bloomfield Hills, we work with all insurance providers, arrange for a rental vehicle for you, and guarantee all repairs we make. If your car is not drivable and needs to be towed away: We will make arrangements to have your vehicle brought to our Collision Center the next day. We can then begin our assessment, where we find and pass along areas of damage to your insurance adjuster. It is your legal right to choose where your vehicle will be repaired, not the insurance company’s: It is illegal for an insurance company to steer or attempt to dictate where your vehicle can or must be repaired. Our Collision Center specializes in Mercedes-Benz vehicles, amongst others; equipped with the latest technologies, tools, and equipment, we will confidently restore your Mercedes-Benz to factory specifications. Schedule Service–or Stop in Today! Contact us online or call us today to schedule a repair near Ann Arbor, fast. Our trained technicians know how to get every job done right with genuine Mercedes-Benz diagnostics and components, and we’re dedicated to making the experience as easy as possible for you. Be sure to check out our service specials before you visit.